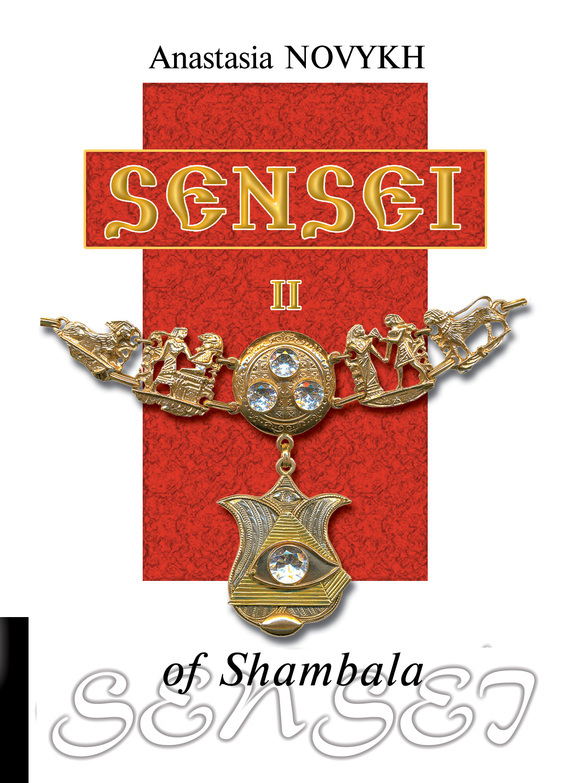 Book II of the Sensei of Shambala series. The year of the first publication is unknown to us. What is the role of each person’s choice in formation of future events? The history of psychology as a science. What does the genuine psychology start with? Who did Socrates draw wisdom from? The will power and the discipline of mind. How did the loss of ancient knowledge take place? Why, due to the “civilized” progress which requires further more natural sacrifices, contemporary civilization is losing its human aspect and the main treasure – the Spiritual. Why, when you are punishing the evil, you should remember about the good. What is the human brain programmed at? Alteration of time perception. Ezoosmos. What do people really think about nowadays? Which human habits coincide with those of Japanese macaques? Why does the whole world sell illusions? Where do wars, aggression, and enslavement originate from? What did Alexander of Macedon realize, when he had gained all possible external victories? How can a person overcome himself/herself? Why is material wealth a burden for a human being? An ancient parable about a thief and murderer Narada who later on turned into a sage. If people sincerely love, is their separation possible after death? Everyone plays roles. Which are these roles, what are they needed for, and which of them is worthy? A legend about the Wayfarer. How can one find himself? Why Bodhisattva never interferes in people’s choice. What was discovered during the scientific research carried out in the Near Caves of Kiev Pechersk Lavra? The phenomenon of imperishable relics of Saint Agapit of Pechersk. How is the history of humanity being written, and who benefits from distorting it? The true story of life and spiritual emergence of Kiev Pechersk Lavra founder – Antony of Pechersk. - an unusual night experienced by Antony on the 25th of February, the vision of Archangel Gabriel. - the way of his spiritual emergence, dwelling at Athos, acquaintance with Agapit. - friendship between Antony and Agapit, learning from Agapit. Agapit lets Antony into secrets of Belyao Dzy science (the White Lotus Art). - Antony’s life in Kiev caves and establishment of a cloister. - the second meeting between Antony and Agapit in Kiev. How was the New Testament composed? Why were books that reflected Jesus’s genuine teaching unfavourable for the Church? Gospel of Andrew the First-Called. How Jesus distributed different regions among his disciples for propagation purposes. What did Jesus entrust Andrew with? Why did he send him exactly to the Borysthenes mountains? And what did Jesus give Andrew lotus seeds for? How did Andrew the First-Called find the place indicated by Jesus? Where is the place in which Andrew “laid” the lotus seeds, and to which the Holy Spirit came in a human body a thousand years later in order to establish His Abode there? Personality and spiritual feat of Agapit of Pechersk, the great Saint of Kievan Rus. - who really came to the Earth in Agapit’s body? - what knowledge did Agapit of Pechersk possess? - what was his influence on the spiritual and cultural emergence of Kievan Rus? - how did Agapit help people bodily and spiritually free of charge? - what was crucial in Agapit’s healing? - what did Agapit teach monks? - what did he urge to pay major attention to, and why did he mention the only acceptable petition to God – the petition for salvation of the Soul? - are Agapit of Pechersk, the Holy Spirit, Gabriel, Rigden Djappo, and Jibrail one and the same being? - why did many people of different religions visit Agapit during his life? - why was the Teaching expounded by Agapit hidden later on? Who did that? - why was Agapit’s body found sitting in his monastic cell in an unusual posture, after the death? - the secret of a posthumous inscription made with Agapit’s of Pechersk hand on a parchment. - what power was possessed by the parchment found in Agapit’s cell? - why do people linger near the relics of Agapit of Pechersk in the caves longer than elsewhere? - what is the Holy Week, and why does it start on the 25th of February? - what is special about the Holy Week? How does it relate to Agapit of Pechersk? - what chance is given to every person during this period of time? Do all relics that are kept in Kiev Pechersk Lavra caves belong to saints? Why Theodosius is considered the second founder of Kiev Pechersk Lavra. The role of Nestor the Chronicler in formation of Theodosius’s positive image and in concealment of the true information about historical events and personalities of that time. Anointing oil. What is it, and what was it used for? Loss of the knowledge internal essence. The sense of the genuine Baptism practice. What was the deep inner essence of the practice? How was the Immersion practice given? Which records of the knowledge that the human Soul enters a body on the eighth day after the child birth exist in Rus? Where does the tradition of naming a child on the eighth day originate from? How do water initiation rites influence a person from a psychological point of view? Why doesn't the pure knowledge impress people? Or why do people want “bread and circuses”? What forces people to search all over the world for what they have inside? - what is His essence? - what is His role in perception of God by people? - who is He for people? Alipy, Kiev Pechersk Lavra icon painter, was Agapit’s pupil. The secret of icon painting. Which information is transferred through photographs? An example of influencing a plant liquid structure with a subsequent change of plant properties. Why does water contain memory and information about everything? What are water properties, and how do people influence the surrounding space by their thoughts and emotions transmitted through water? What is the role of liquids in the information exchange in the world? Does the Earth have a mind? How are people connected with it? What is the true power of human thought? Why is nuclear energy a trifle compared to the real power of human thought?